An outstanding example of a restored villa, this property is suitable for business travellers as well as families and larger groups looking for superior, yet affordable accommodation in the city. Immaculately presented, this 1890s home enjoys a lovely outlook over Waitangi Park towards Te Papa and the Royal Port Nicholson Yacht Club, and is right on the doorstep of Courtenay Place - Wellington's entertainment and dining precinct. This is a fantastic Oriental Bay property – avoid disappointment and book now! Standard check in 3pm, check out 11am. A bond may be required. Booking confirmed only upon receipt of 50% deposit. Payment must be received within 48 hours to guarantee booking. Payment methods: Internet banking preferred but can also process Visa and MasterCard (through Paypal). Payments using Bitcoin, Ethereum and Litecoin also accepted. All pricing is displayed in NZ dollars. You could not get a property more central. Right opposite Te Papa and across the road from the harbour. 5 mins walk to the nightlife of Wellington and Cuba Street and 10 mins to the shops of Lambton Quay. Although very central we were not disturbed by traffic noise. 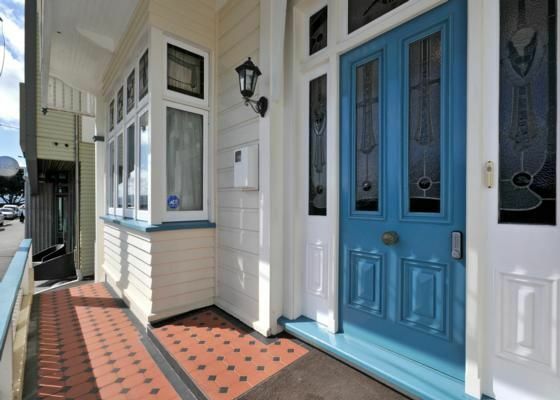 I would thoroughly recommend this property if you are staying in Wellington. Very convenient. Close to museum. Shops and cafes. The accommodation was very spacious. Will stay at the accommodation again. Comfortable beds. Good tv and internet. The property was perfect for our weekend trip. It was clean and had everything we needed. Is in a great location. Would highly recommend! We loved the style and decor. Enjoyed being down on Oriental Parade. Close to nice cafes, waterfront, Te Papa etc. Was great having the downstairs toilet. All bedrooms were upstairs plus bathroom. Had everything we needed and would love to stay again. Many thanks. Fantastic location. Great property for a group. We love staying at City End! Great location. Ideal place to stay with a big group. Everything you need is provided.